Lot Detail - Bran Glass and Cover. Bran Glass and Cover. Early twentieth century. 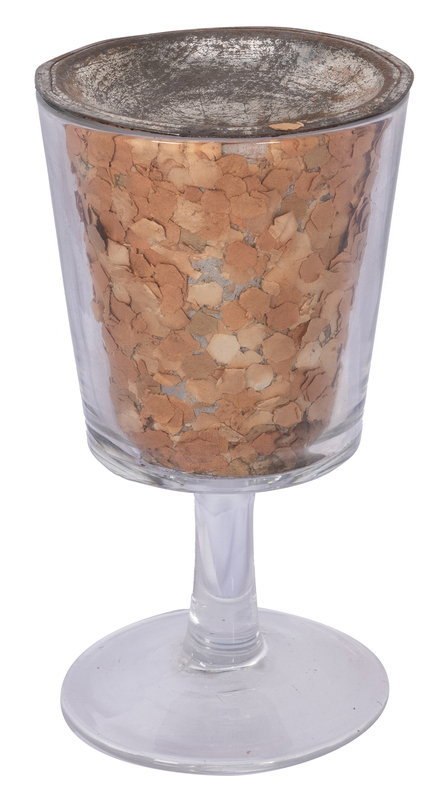 A crystal glass filled with bran is momentarily covered with a nickel plated lid. When lifted, the bran has turned to candy. Heavy glass, metal gimmick. 10” tall. Wear to plating, else very good.